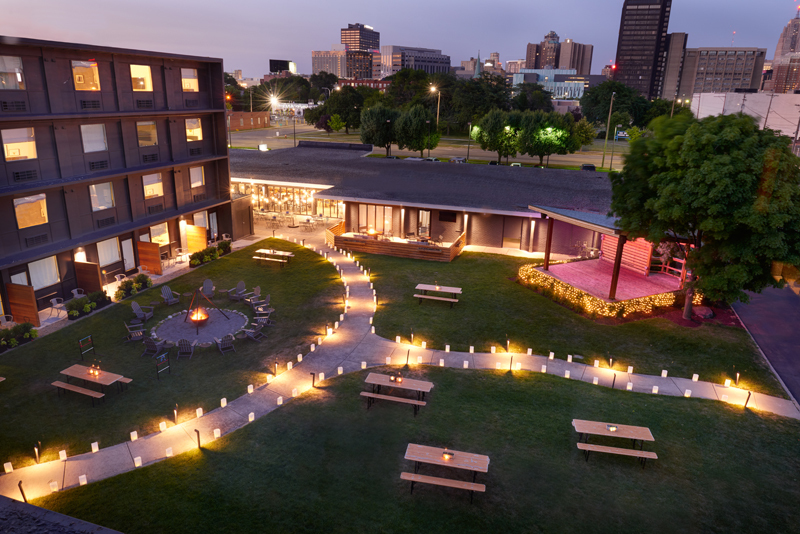 Trumbull & Porter has just announced the lineup for their free entertainment series, which takes place at the Corktown boutique hotel from April through October. All scheduled events are open to the public, including their wildly popular Courtyard Movie Series — a showcase of cult-classic and slasher films, presented as a double feature every Friday, followed by ’90s films each Saturday. 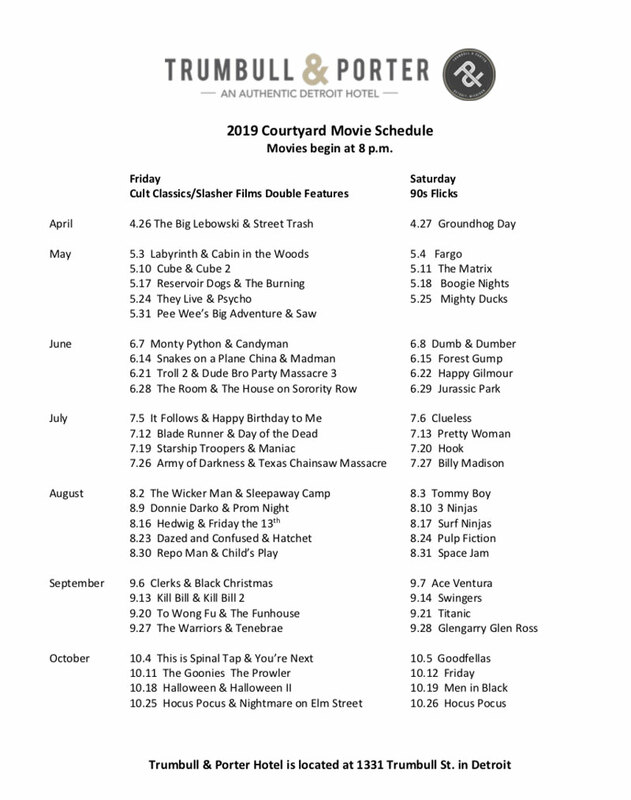 Screenings will be shown in Trumbull & Porter’s 15,000-square-foot outdoor courtyard, which features a fire pit, picnic tables, and space ground seating (the hotel suggests bringing a blanket). The festivities kick off on April 26, with an 8 p.m. showing of the 1996 movie, The Big Lebowski, starring Oscar-winning actors Jeff Bridges and Julianne Moore, and later Street Trash, the 1987 horror-comedy film centering on vagabonds who’ve drank a batch of toxic beer, causing them to appear as if they’ve melted. Attendees can enjoy happy hour from 4 p.m. to 6:30 p.m. at Redd Dunn Kitchen, the seasonal American restaurant within the Trumbull & Porter, prior to showtime. During showings, the courtyard’s outdoor bar Pump Room will serve cocktails and popcorn. 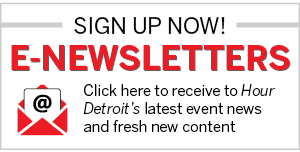 Other events metro Detroiters can look forward to are the Cowboy Kettle BBQ Nights, which occur on Tuesdays at 6 p.m. from April 30 through September 24, and their Citywide Poets Poetry Slams on June 6 and August 29. The former invites event-goers to bring their friends and family for a night of slow-cooked BBQ prepared by Redd Dun’s culinary team, along with craft cocktails and fireside conversation. Citywide Poets Poetry Slams will feature artists from Citywide Poets, InsideOut Detroit, the Detroit non-profit youth literary arts organization, and its award-winning afterschool program that provides local teens the opportunity to express themselves through verbal and written words. 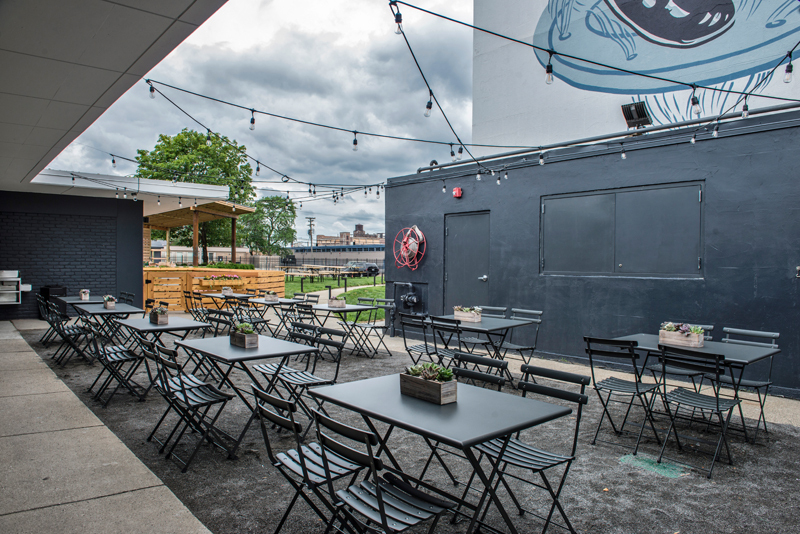 Trumbull & Porter will also host their Tigers Home Game Viewing Parties, which involve large screenings of home games in the courtyard, along with bar service from Pump Room. Are you interested in going to one of the hotel’s many events? Let us know in the comments below.